Eat : Charlie’s Cafe, Taman Desa | It's my life. 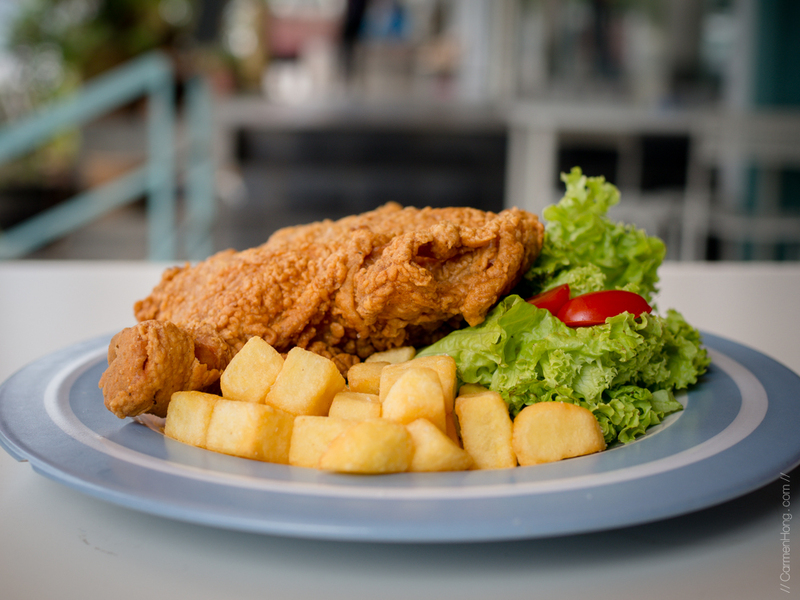 I’ve first heard of Charlie's Cafe when it was featured that the cafe serve the best chicken chop in Kuala Lumpur. To be voted the best, I was certain that the chicken chop must have been nothing short of amazing. So, I’ve placed this cafe on my must-visit cafes. 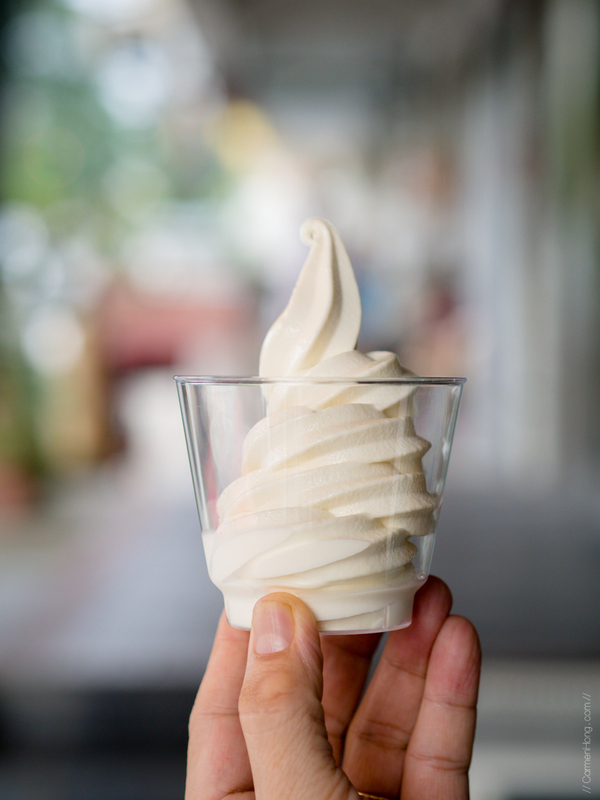 Then, from a friend I heard that they are also serves durian soft-serve ice cream, so smooth and delicious too! By then, I knew I had to come and try them myself. Read on more below to find out how my visit to Charlie's Cafe in Taman Desa, was! 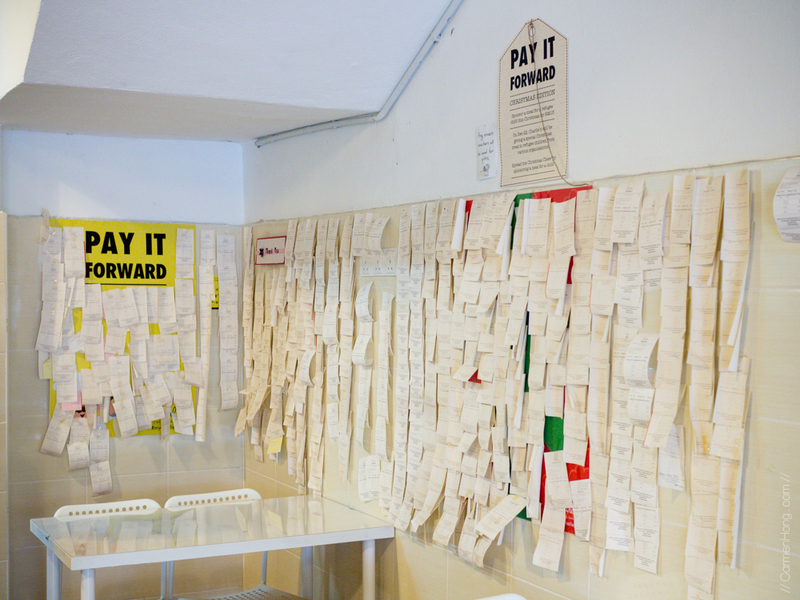 During my first visit to the cafe, I noticed that there were many receipts on the wall. These receipts are actually vouchers paid by the patrons of the cafe, at a value of RM5, which entitles the needy to a meal in the cafe. The meal can be either breakfast of meehoon, eggs and drinks or lunch of mixed rice and drinks. This pay-it-forward concept is lesser known here as compared to the Western countries, but I’m happy to know that we have a local Malaysian cafe taking the initiative to help the needy. These vouchers can also be redeemed by orphanages and old folks by arranging it with the cafe. In the last few months, Charlie's Cafe have prepared close to 700+ meals for the needy. This is one of the most glorious chicken chop that I have ever laid my eyes on. I’m speaking in terms of appearance, because it is visually appealing and so easy to photograph too. The chicken chop is crispy on the outside and man, it was juicy on the inside too. The chicken have been brined, which meant that it was soaked in herbs and salt, allowing it to be well marinate and still juicy when fried. 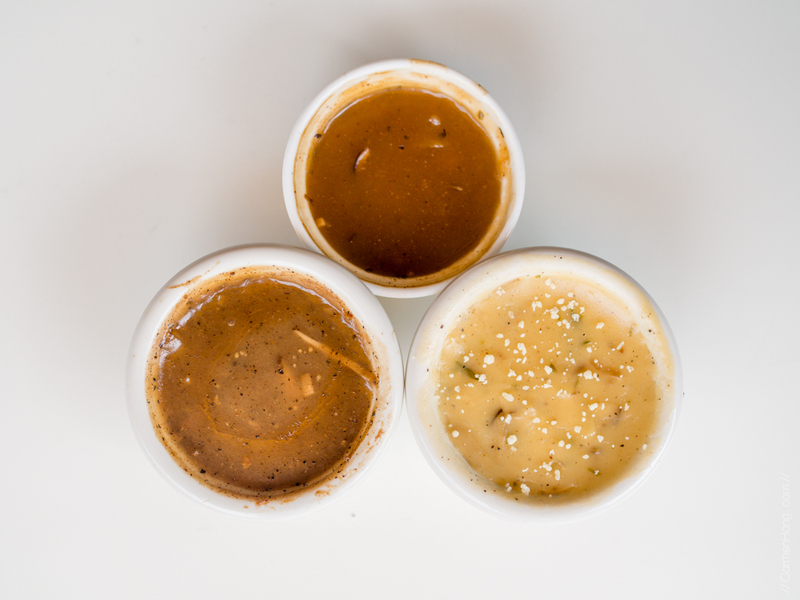 There are three options for your accompanying sauce, which is the Sarawak Black Pepper (RM 17.90), Cheesy Mushroom (RM 17.90) and Mushroom (RM 14.90). The Sarawak Black Pepper is made using the black pepper from Sarawak itself with shitake mushrooms in it. The Cheesy Mushroom have a combination of romano, cheddar and sprinkled parmesan, making it the absolute must try for cheese-lovers. As for the Mushroom, it is made from scratch with sautéed fresh shitake and garlic. My verdict? 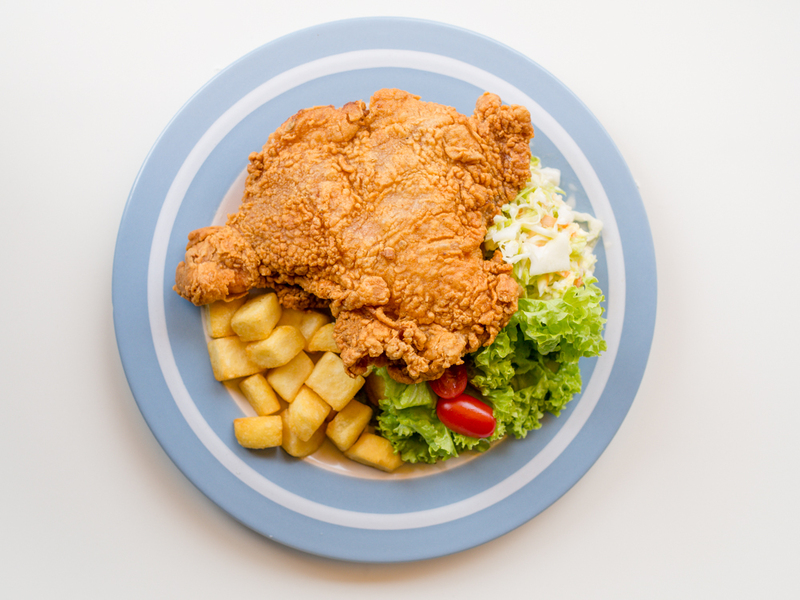 It is really the best chicken chop in Kuala Lumpur! If you really love chicken chop, please do give this a try. :) This definitely tops my list for all the chicken chops I have ever tasted before. 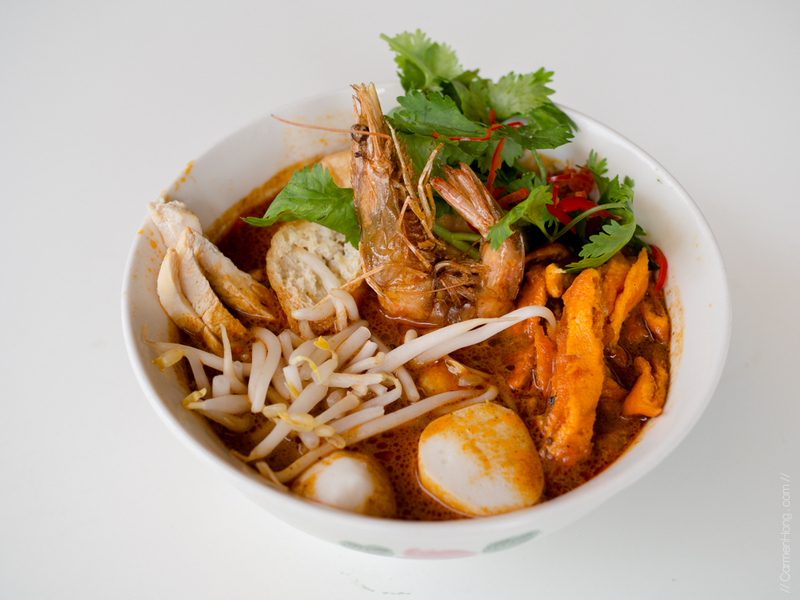 One of the best-seller in Charlie's Cafe is their Sarawak Laksa, in which the recipe hails from a local Sarawakian friend. 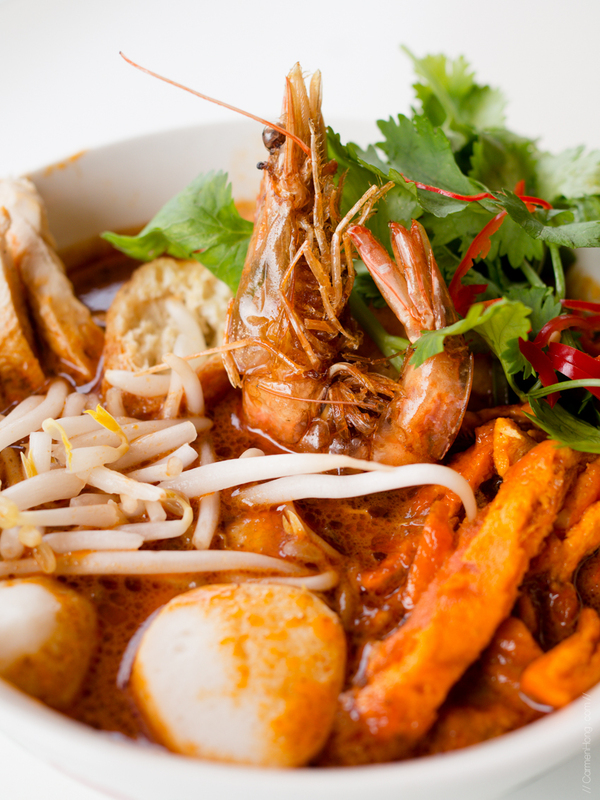 The broth used is a combination of prawn, flower crab and chicken which gives it the extra oomph, compared to others. The other key ingredient for the soup base is a special paste which is flown in from Sarawak. This is probably as authentic as it can get. Overall, making the soup is a tedious process of a minimum of 4 hours! 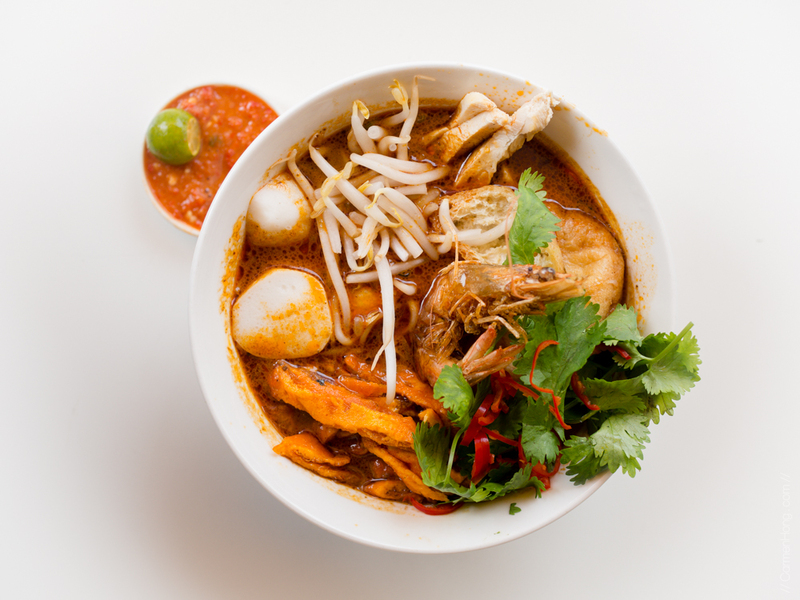 The Curry Laksa in Charlie's Cafe is another crowd favourite whereby the paste for the soup base is made in-house and again, from scratch too. The recipe is their own recipe, with pieces of fried chicken as the toppings, along with fishballs, shrimps and others too! 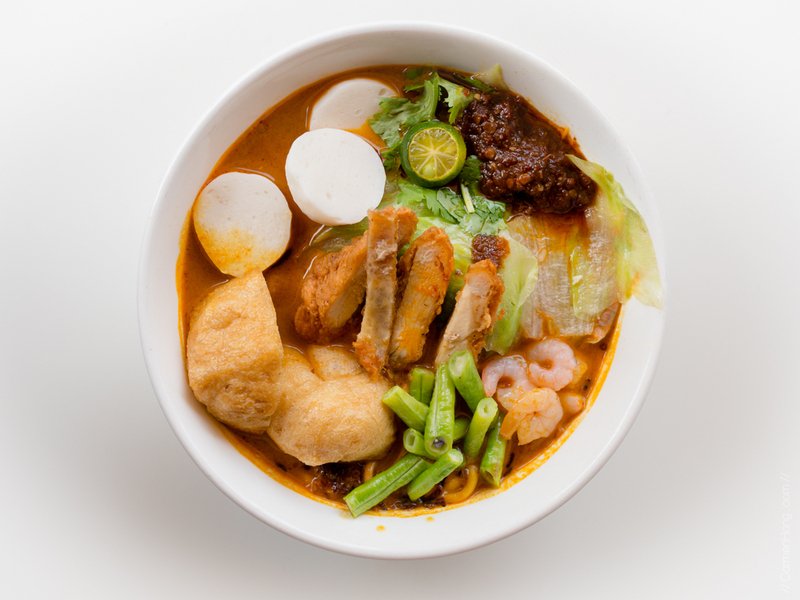 There is also the sambal to add to the spiciness of the curry laksa, if you preferred it to be spicy-er! 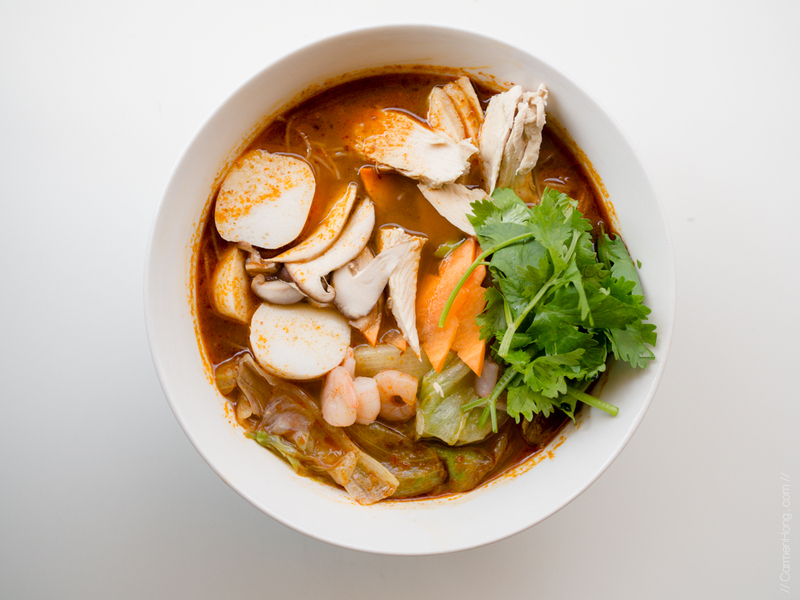 Charlie's Cafe also have the Malaysian Tom Yum, which is slightly more sour than the usual one I’m accustomed to. This is a popular choice amongst the ladies and there is an option to choose your own noodles too! This is my favourite part of any meal, the desserts! In Charlie's Cafe, you’ll be spoilt for choices as they have many different type of desserts. Most of them are made fresh in-house, mostly by Debra Leong. Desonny Tuzan is the man behind the cafe and his wife, Debra Leong helps him with it too. 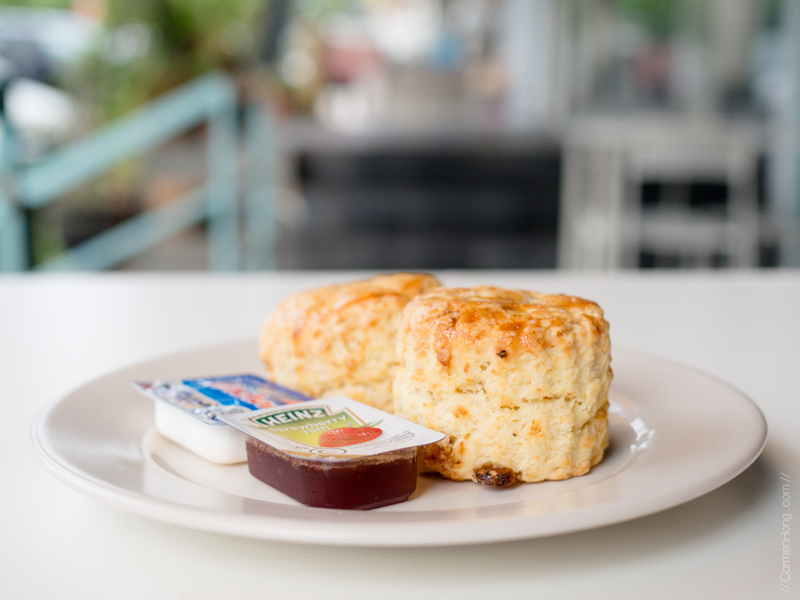 The scones are very popular and is served with butter and jam, priced at just RM 4.90 for two. 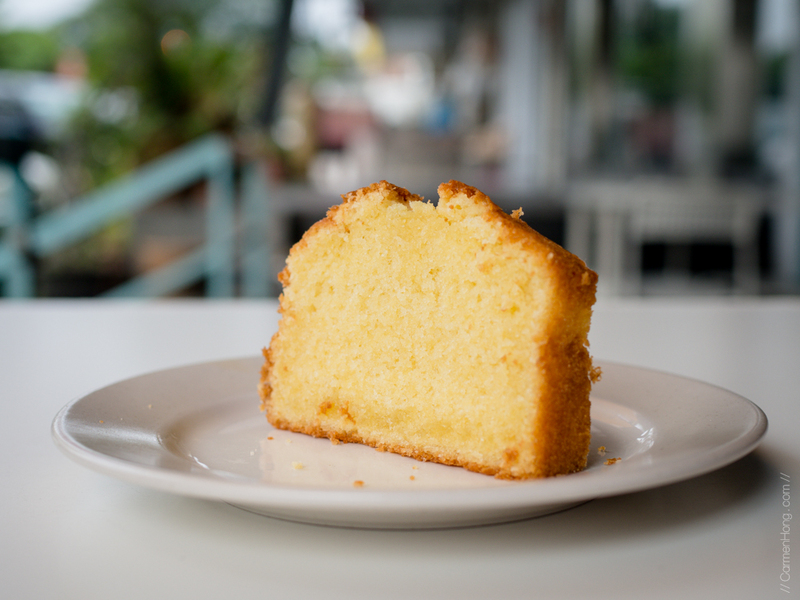 There is also the Butter Cake which is RM 3.00/slice. You can also get the whole cake (800g) at RM 30.00. 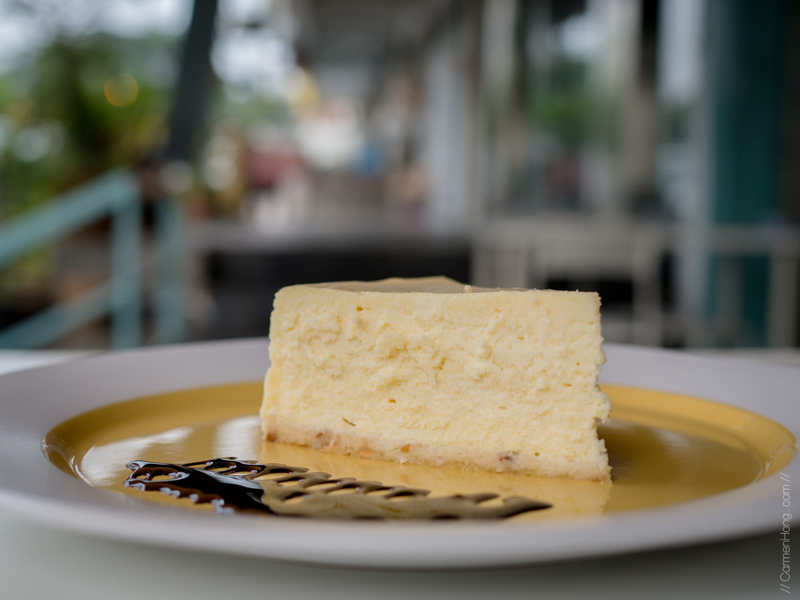 For the durian fans out there, you’ll be delighted to know that you can find an absolutely delicious Durian Musang King Cheesecake at RM 16.90/slice. The cream cheese used is imported from France, with homemade almond short crust as the base of the cake. Almond is used because it goes well with the cheese, a combination which I found to be yummy too! PS – The restaurant is pork-free too. Oh the pictures looks amazing and the chicken chop especially is exceptional. Appreciate the recommendations and cheers to the share. The chicken chop by itself look tempting to me. Gosh! I am craving for chicken chop. Nice Photos!! You capture the spirit of the food. hahaha. Hope to try it in future. I'd definitely go for the soft serve ice cream. And of course, the chicken chop, too! wow..the food looks so nice!! !I want to try the Musang King Cheese Cake!! Love your photo so much! What camera you're using? It just located nearby my house! Will visit soon. Hi babe! I'm actually using the Olympus OMD EM10! I want to try the chicken chop seem is recommended. The Sarawak Laksa look different from my own hometown. Will give a try for it. Durian softserve!! I wanted to try it =D The chicken chop photo definitely caught my eye, love the presentation and photos! Gorgeous photos! You made everything look mouth watering! Omg you just make me crave for Chicken Chop. Going to visit this cafe soon. that chicken chop. oh my... i got to go visit them soon too. i want i want i want. Charlie's cafe is near to petaling jaya , right or not ? Hello! It's actually located at Taman Desa. The address is as above.